Chicks in Hats magnet set featuring 5 different magnets. These heavy duty rigid rectangular refrigerator magnets measure 2.125" x 3.125" and have a strong flat magnetic back with glossy mylar cover. 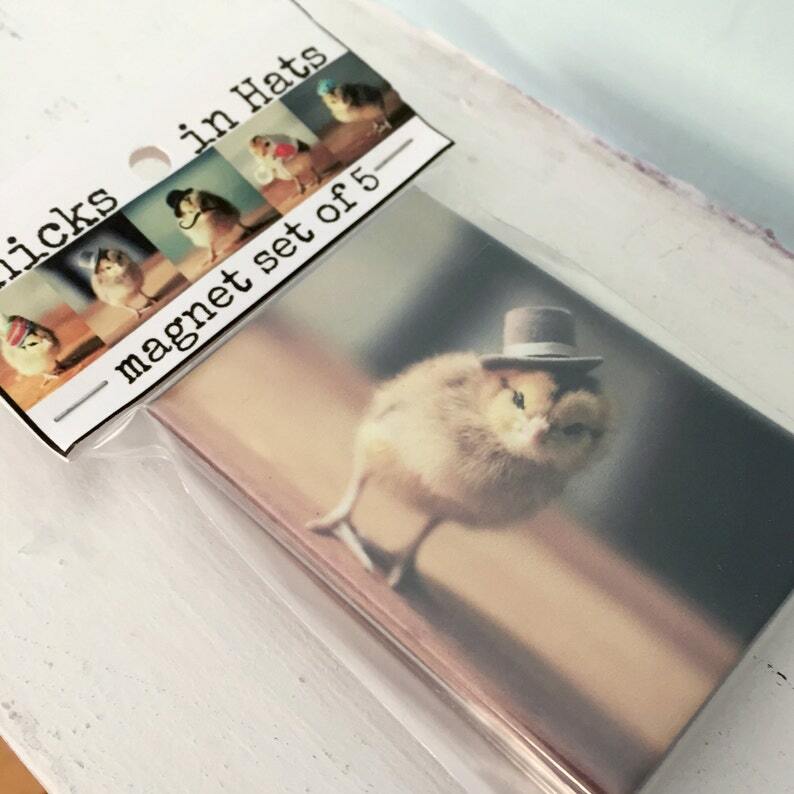 You get five magnets in this set: Chick in Kerchief, Chick with Mustache, Chick in Pom Pom Hat, Chick in Top Hat and Chick in Crown. These are truly the cutest things I have ever seen!